Life is becoming so busy these days and we hardly have time to take care of ourselves amidst our work schedules and personal commitments. There is a saying “Health, the greatest of all we count as blessings” quoted by Ariphron which strongly explains how important it is to take care of our health and be fit. 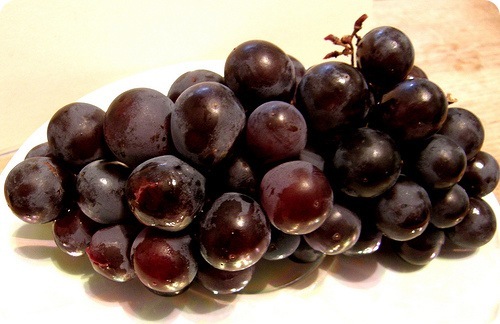 Towards keeping better health, Grape juice prevents clogged Arteries . Juices made from apples or purple grapes – and the fruit themselves – protect against developing clogged arteries, a study suggests. The French research team said the juice’s benefits came from its high levels of phenols – an antioxidant. Antioxidants in various foods have been regularly cited as being beneficial to heart health. The French team looked at how juicing affected the phenol content of fruit – because most studies look at raw fruit. The researchers say their findings suggest the amount of phenols contained in a food have a direct effect on its antioxidant properties. Other antioxidant compounds in the fruits, such as vitamin C and carotenoids, could also contribute to their effects, they added. The research team said their findings "provide encouragement that fruit and fruit juices may have a significant clinical and public health relevance." The French team looked at how juicing affected the phenol content of fruit – because most studies look at raw fruit. The researchers say their findings suggest the amount of phenols contained in a food have a direct effect on its antioxidant properties….